Get Organized for Taxes | Coldwell Banker Finger Lakes | 315-789-6768 | Geneva NY Homes for Sale, FINGER LAKES PROPERTIES, Seneca Lake, Cayuga Lake, All of the Finger Lakes. Tax time is nearly here. Minimize last minute rushing by collecting all of the paperwork you or your tax preparer will need to do your taxes now. 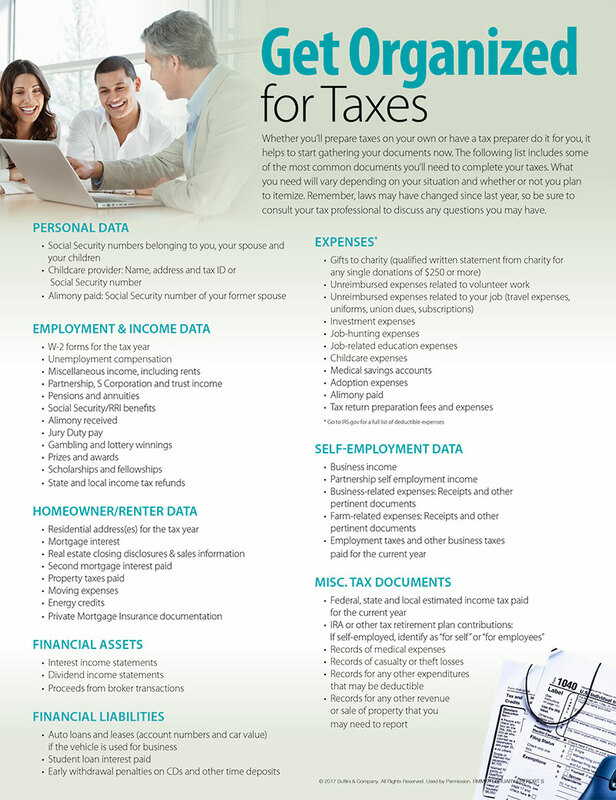 This month, I m sharing a list of documents you may need to complete your taxes. Use it as a tool to help you get organized and feel prepared for tax season.